December 5 is a great day in U.S. history: It was on this date in 1933, Utah ratified the 21st Amendment, giving the act that repealed the 18th Amendment its required three-quarters majority and turning it into law. The ill-fated expiriment known as Prohibition was finally over. Alcohol would no longer need to be surreptitiously snuck in underground speakeasies, and the substance would cease to be a cash cow for the Mafia (who, of course, have since turned to other drugs to fill their coffers). So, what should you drink on Repeal Day to commemorate the end of the (not so) Noble Experiment? In the 1920s, bartender Harry Craddock fled the United States for London, where he set up shop at the Savoy Hotel and subsequently invented or developed several popular drink recipes, which he served to both the British and his compatriots lucky enough to afford a trip to Europe. His compilation of these, published as the Savoy Cocktail Book, holds several gems, and we hit those pages for a few true Prohibition era tipples. Check them out below. Shake all ingredients with ice, strain into martini glass and garnish with lemon twist. Rinse a glass with the absinthe (pour in, swirl, discard any left-over). Combine all other ingredients and shake with ice. 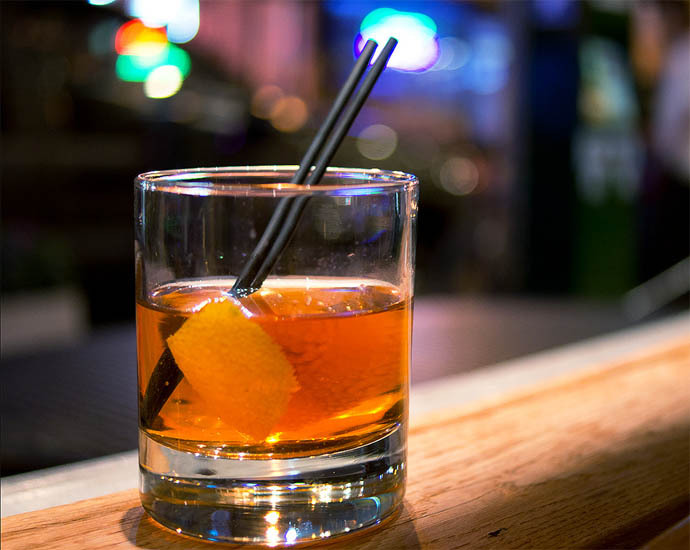 Strain into prepared glass and garnish with orange peel. Shake first three ingredients with ice and strain into flute glass. Top with Champagne and garnish with lemon twist or spiral. Shake all ingredients with ice, strain into martini or coupe glass.